US President Donald Trump speaks at a reception commemorating the 35th anniversary of the attack on Beirut Barracks, on October 25, 2018 at the White House in Washington, DC. 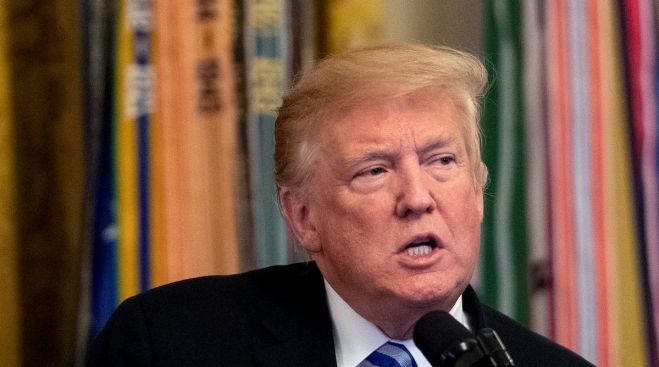 President Donald Trump has signed legislation imposing new sanctions against Hezbollah, the Iran-backed terrorist group behind the 1983 Beirut barracks bombings. 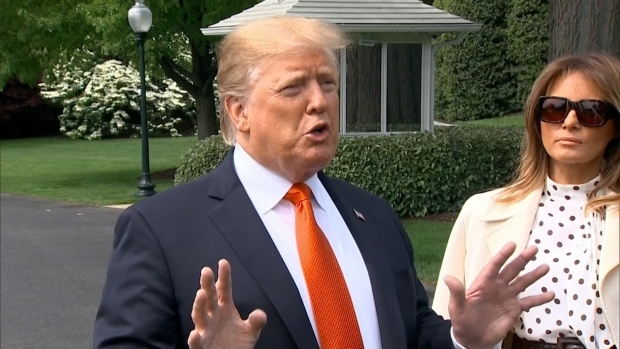 Speaking Thursday at a White House event marking the 35th anniversary of the attack that killed 241 Marines, Trump said, "No terrorist group other than al-Qaida has more American blood on its hands." Trump is also taking credit for reimposing sanctions on Iran after he pulled out of the 2015 Iran nuclear accord, in part by citing its support for international terrorist groups. Trump is promising even tougher actions against Iran after most sanctions against the country return to effect on Nov. 5. The bill expands the list of those who can be sanctioned for doing business with Hezbollah.